The feeling of being shattered is one that we all of dealt with. Whether it be from heartbreak, tragedy, or inner turmoil, feeling like you are in pieces is something we all experience, especially while growing up. 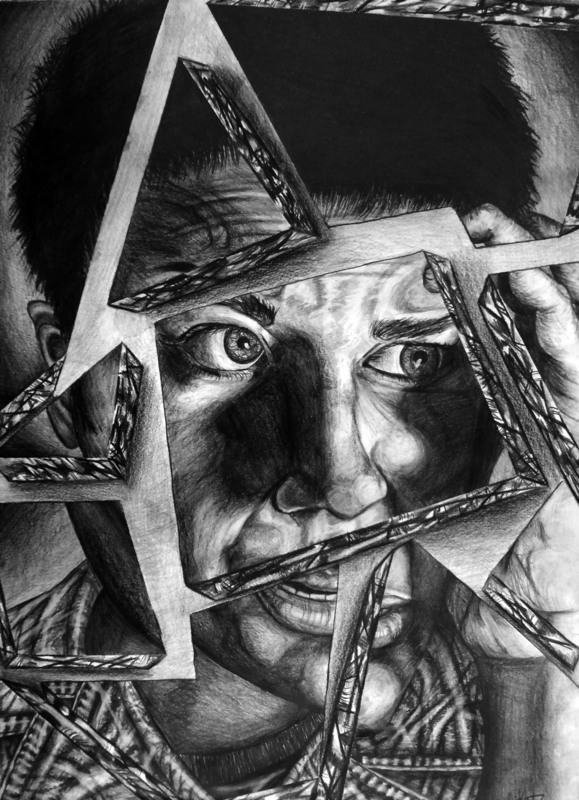 This piece is inspired by a broken mirror I had found, and of course the song "Nervous Breakdown" by Black Flag.